This is a cozy café and bar designed around the theme of Lanikai Beach, one of the iconic beaches of Oahu. 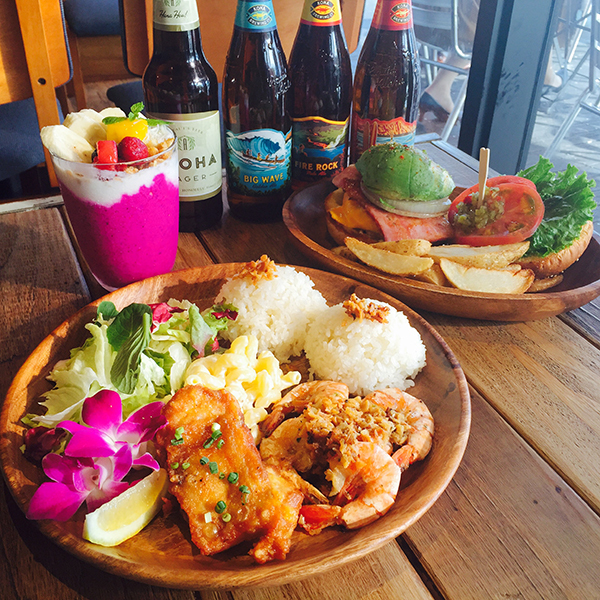 The menu features the popular garlic shrimp, hearty and filling burgers, pancakes, pitaya bowl and more Hawaiian-inspired dishes. 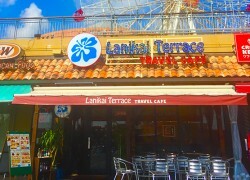 The terrace seating ensures a pleasant setting, especially on a sunny day. Weekend events are worth checking out. This is a great place to eat both lunch and dinner.